In addition to the pampering and relaxing feeling that you experience, a facial should be part of your preventative maintenance program for keeping your skin healthy. Beautiful skin requires some due diligence on your part and regular facials can provide a multitude of benefits, especially when they’re performed by experienced and knowledgeable estheticians, like the staff at Mederm Esthetics & Laser . Professionally trained estheticians will help to educate you regarding the maintenance of a homecare regimen for keeping your skin looking healthy and its best all year long. Their professional advice will guide you in determining which products are the best skin care products for your skin type. 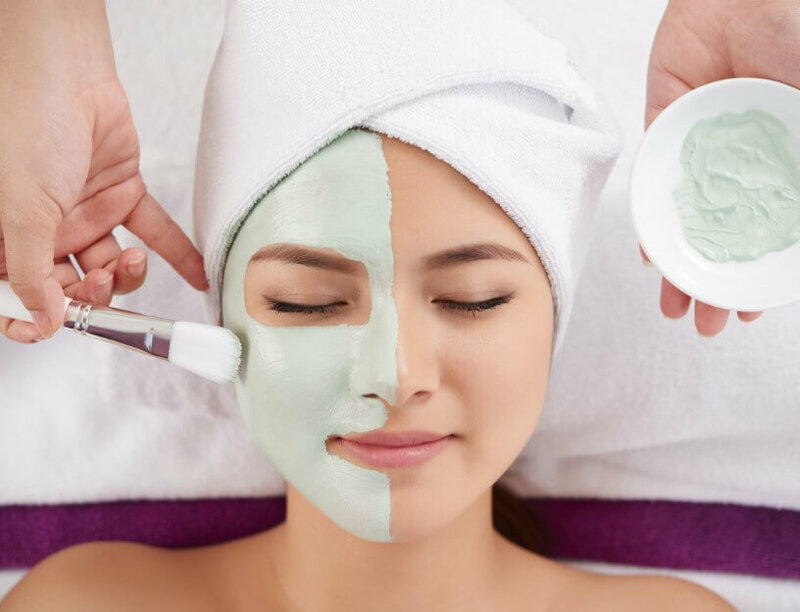 There are different types of facial treatments, such as those designed to deep-clean, moisturize, relieve stress or reduce acne, but regardless of which type you’re looking to have performed, they all offer many benefits. All of them offer the benefit of removing toxins and pollutants caused by environmental stress. Over the course of time, your skin acquires an abundance of grease, dirt and grime that affects your skin, making it look tired and overworked. A fatigued epidermis contributes to premature aging, dull and congested skin. Facials help to open pores, eliminate toxins, and exfoliate the skin to remove dead skins cells which tightens and firms the skin. Facials also help to reduce the over-production of the natural substance sebum, which lubricates the skin; however, an overabundance of this substance can cause skin problems, like blackheads and acne. Although there are different types of facials, they all share a commonality in the process. The cleansing process begins with your esthetician removing all makeup so your skin is clean and bare. This is followed by a cleansing milk, cream or lotion application into your face. She will also use one of these products on your neck and décolleté. Once this massage is completed, warm water is applied to rinse the product away and your skin is pat dry. Exfoliation is the next step. The esthetician will choose a cream, gel or mask. Some products require they be left on your skin to dissolve blackhead plugs or your esthetician may use a manual/machine stimulation for the extraction. Steam or heated, moist towels may be used during or after this phase to sweat out impurities on your skin. Next stage is the extraction portion where you loosen plugs ar esthetician removes either whiteheads or blackheads. She may use her fingers with cotton to manually express plugs, or a lighted magnifying glass and/or a stainless steel blackhead extractor instrument. This instrument allows the esthetician to gently remove whiteheads or blackheads. After removal of any impurities in the skin, a facial massage is performed to stimulate and lubricate the skin. An oil or lotion may be applied and your esthetician may massage your neck, shoulders, décolleté. This is a very relaxing part of the process. A mask may be used to manage your oily or dehydrated skin. If you have oily skin, a clay mask will be used to draw off the overabundant sebum. If you have dehydrated skin, a mask will be used to replenish lost moisture. Once the mask is removed, a specialty serum will be applied to your skin for aging, blemished or sensitive skin. The conclusion of the process involves the application of a cream or gel to your skin for your particular skin type followed by an SPF for added protection. The final phase of the facial process may also include applying eye gel and/or lip treatment. Deep cleaning facials (medical facials) by a qualified, professional esthetician is the best way for you to get immediate and long lasting results for improving the quality, texture and look of your skin. We all want beautiful skin, and regularly scheduled facials plus a home maintenance program will help you achieve a glowing, healthy and youthful appearance.